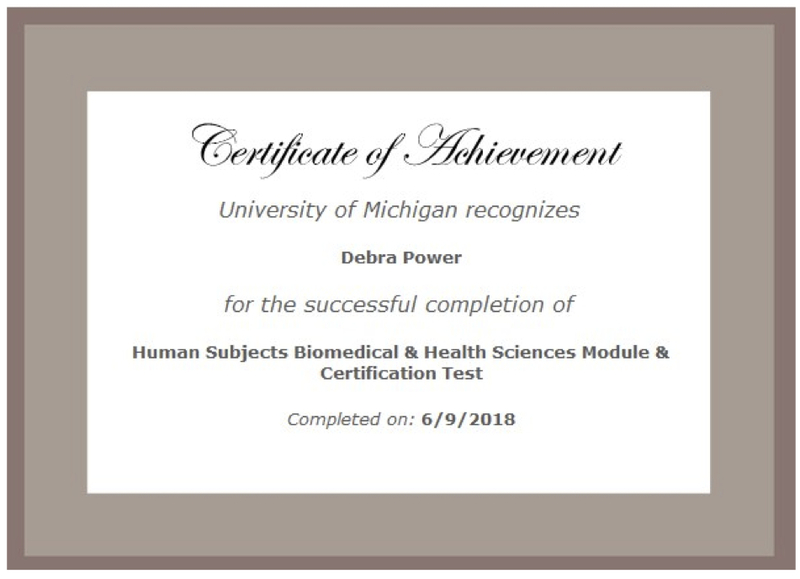 Power Marketing Research of Ann Arbor is PEERRS-certified and NIH-trained for human subjects research in the biomedical, health, social and behavioral sciences. The staff of POWER MARKETING RESEARCH is certified in PEERRS (the University of Michigan's Program for Education and Evaluation in Responsible Research and Scholarship). We have also completed the NIH (National Institutes of Health) "Protecting Human Research Participants" training course. “Focus Group Innovations: Split-Session Focus Group Interviews,” Journal of Medical Internet Research, 2014. "Our project required a flexible recruitment strategy, as the subject matter was sensitive. Power Marketing Research evolved with us to maximize recruitment and help us achieve the ultimate success of our project." "Power Marketing Research quickly assessed our research needs and fulfilled our objectives on time and on budget."